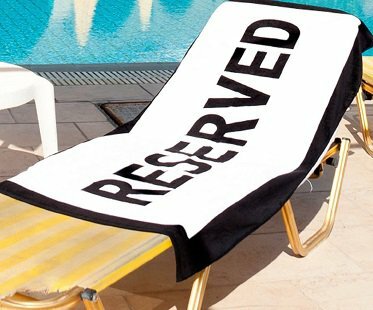 Claim your sun lounger every day on vacation with this awesome 'reserved' beach towel! It's perfect for when you want a dip in the water but don't want to lose your sun bathing spot! Made from 100% cotton.